Review: Walt Simonson returns to Thor with a beautifully-drawn epic that includes Hulk for maximum satisfaction. 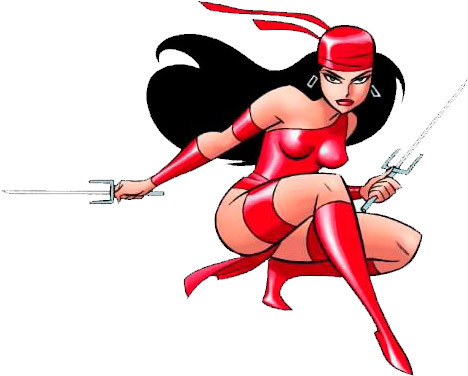 Plus, there's another set of surprises from the epic pen of Mark Waid! Each of Bruce's four assistants has a secret they are not aware that Bruce knows; this is the kind of intriguing thing I like—when the revelation actually lives up to anticipation. So we'll see. 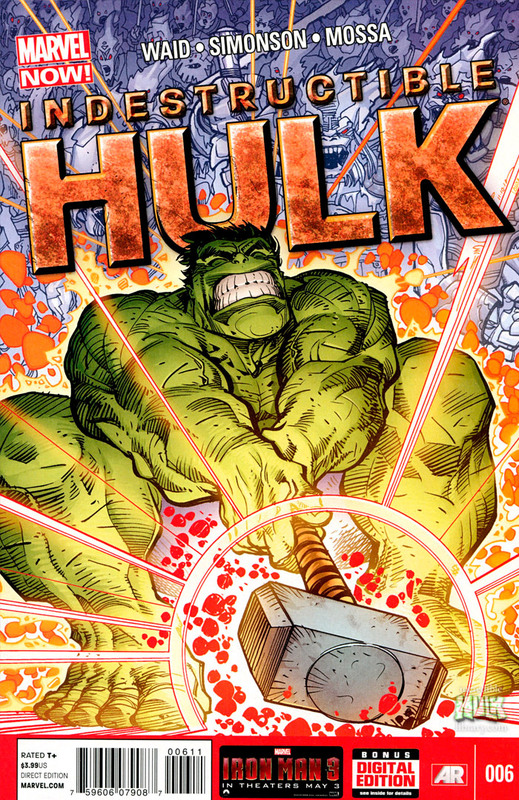 The big question: Hulk is worthy? This too should be a good matter to follow up on. Don't disappoint us, Mr Waid. Comments: “Marvel Now!”--Cover. Part one of three parts. The title comes from a quote in BRIDE OF FRANKENSTEIN which also inspired the title of GODS AND MONSTERS, the 1998 film about James Whale, director of FRANKENSTEIN. 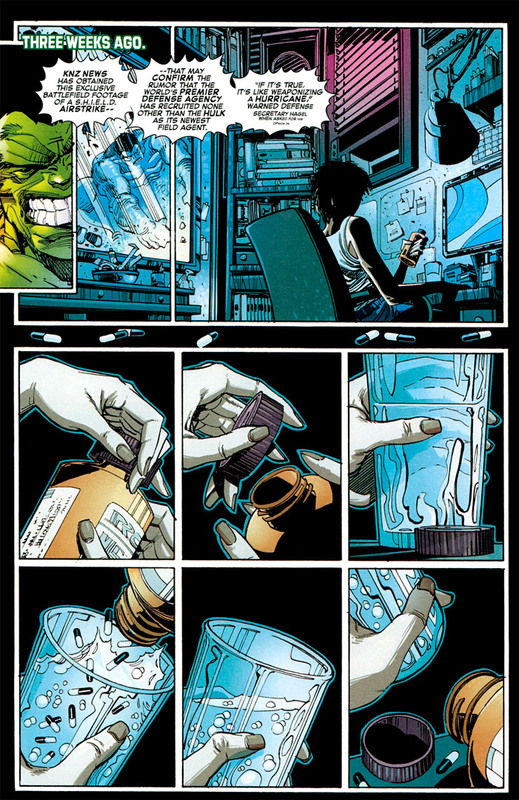 Bruce Banner hires four assistants for his S.H.I.E.L.D. lab: Damon Veteri (Molecular Engineer), Melinda Leucenstern (Climatologist / Astrophysicist), Randall Jessup (Renewable Energies), and Patricia Wolman (Biologist). Using Uru metal from Thor's enchanted mallet Mjolnir, Banner devices a portal and uses it to travel with his team to Jotunheim. Only Melinda stays behind to manage the controls that can bring them back home. Banner is looking for Eiderdurm, a liquid substance he believes could replace fossil fuels. 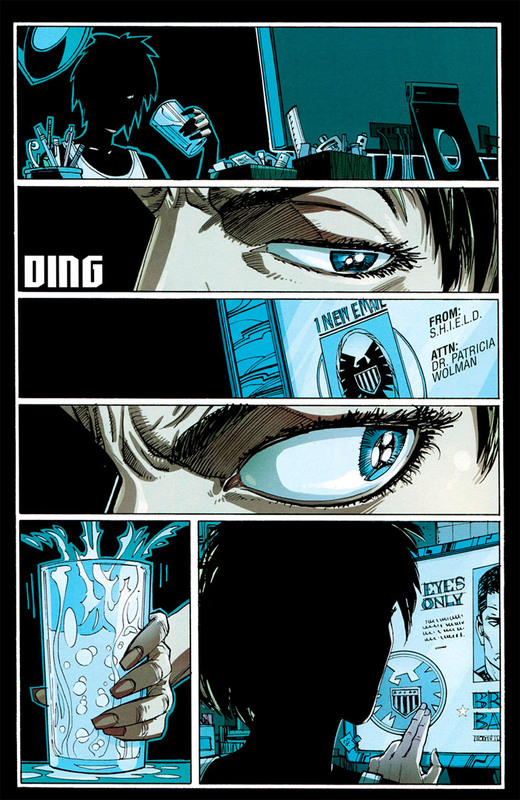 He and his team are suit up with S.H.I.E.L.D. armors that protect them from the low temperatures, and carry fire arms. But these prove useless against the Frost Giants who quickly attack the uninvited "warmblood" intruders. Fortunately, Thor also detected their presence and aids the Earthlings. But something isn't quite right: Thor does not recognize Banner, and he's wearing his old costume. The passage must have also taken Banner and his team back in time. As the sides collide, Frozen Giants get the best of Banner, and throw Thor away, making the assistants to run away. 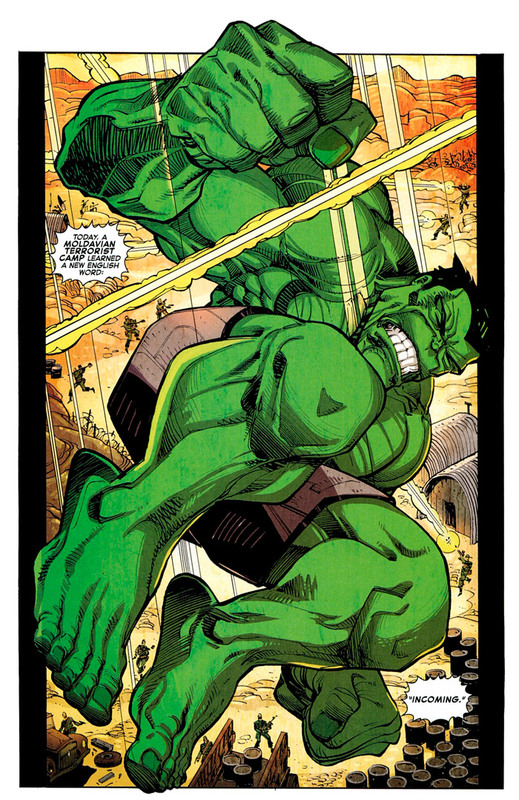 Banner turns into the Hulk, and surrounded by the enemy, he decides to pick up Thor's mallet. Surprisingly he's able to do it! As he lifts Mjolnir, he shouts "Hulk Worthy!"